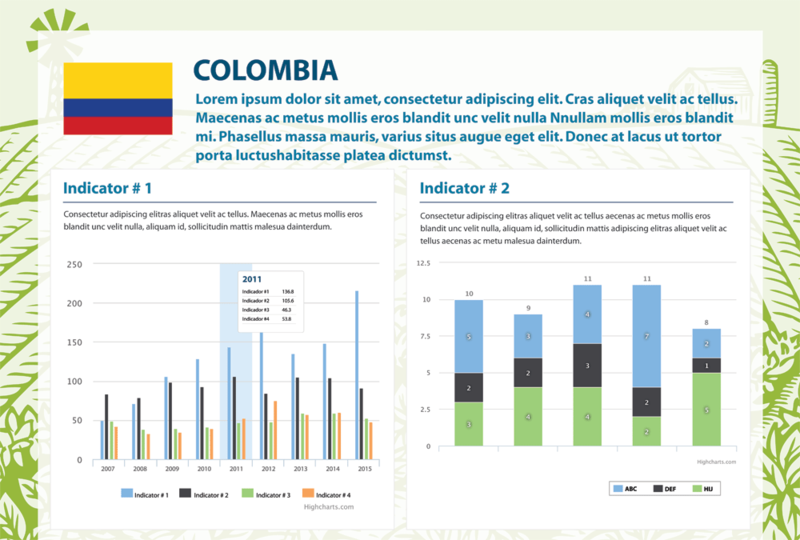 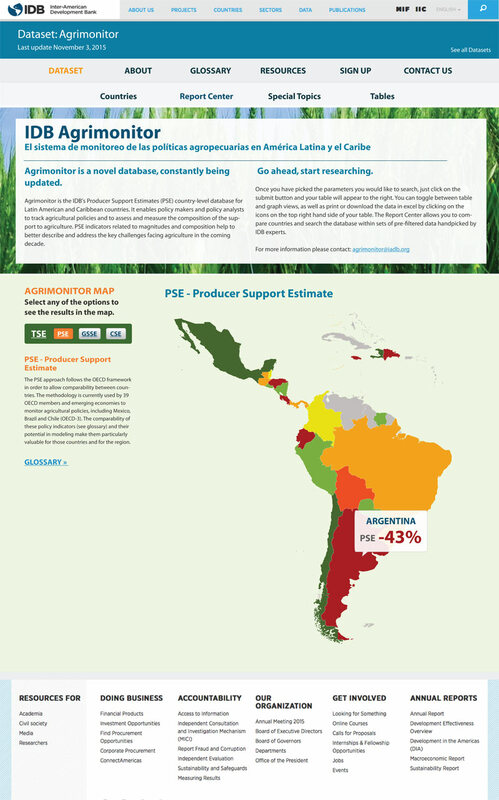 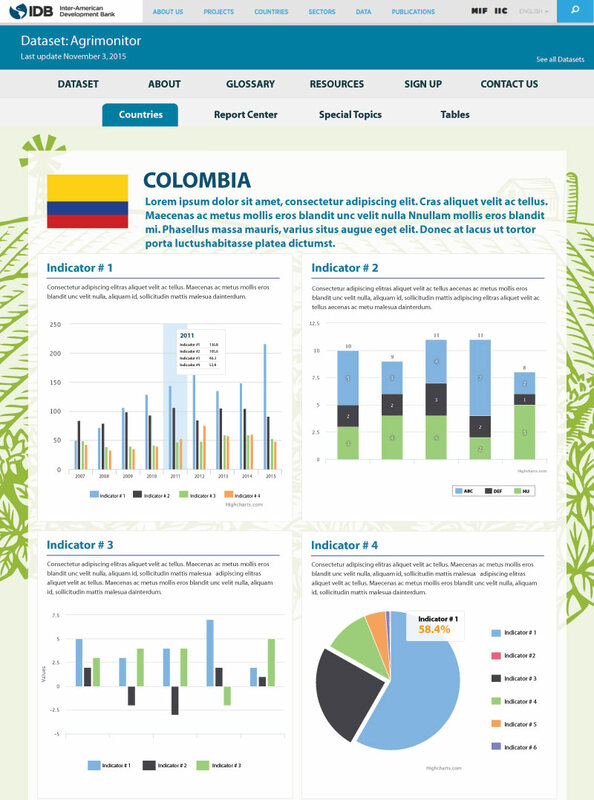 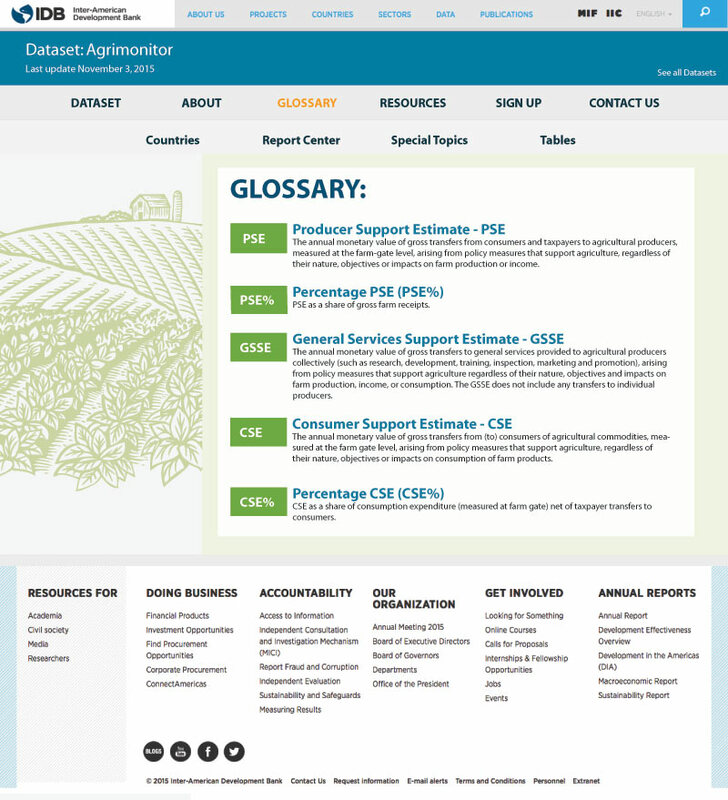 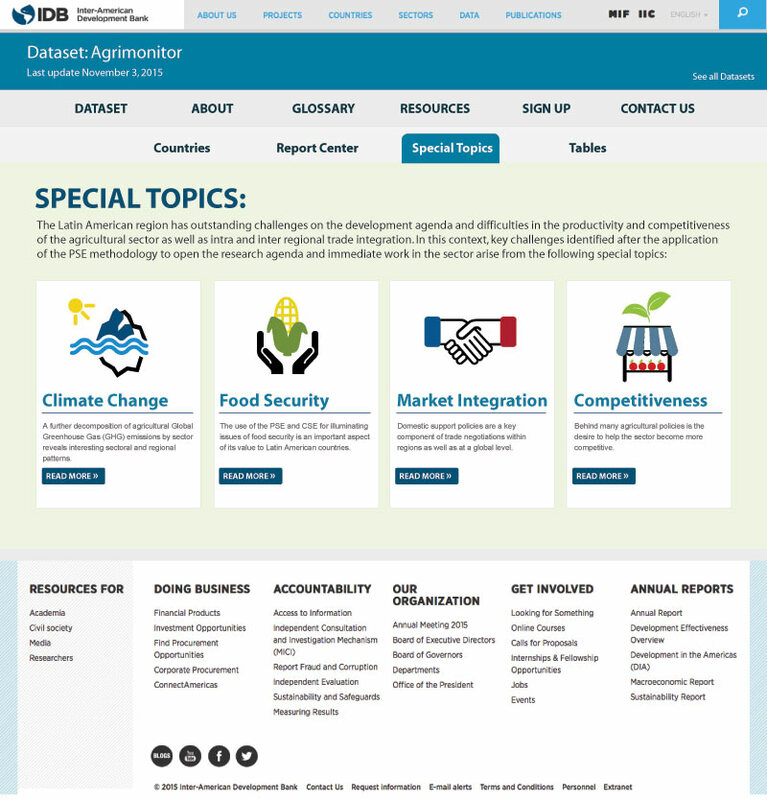 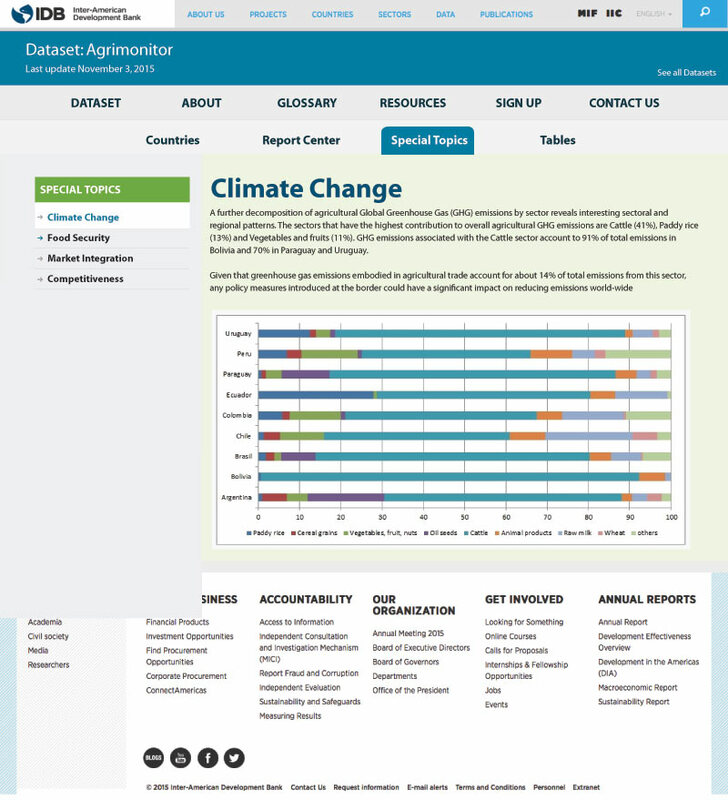 The Agrimonitor Department at the Inter-American Development Bank contacted 1127gd to create a new design of the website for the department. 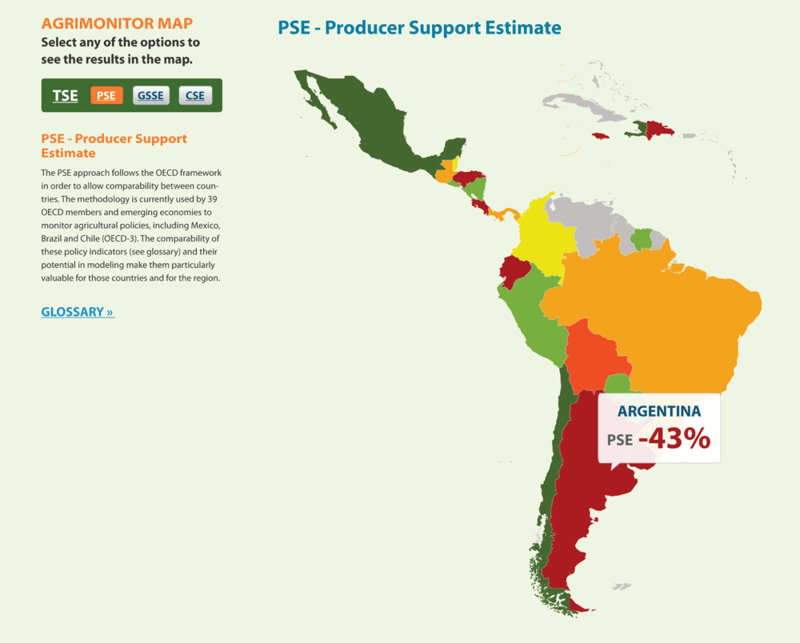 This is a very complex website with representation in all the countries of the Americas. 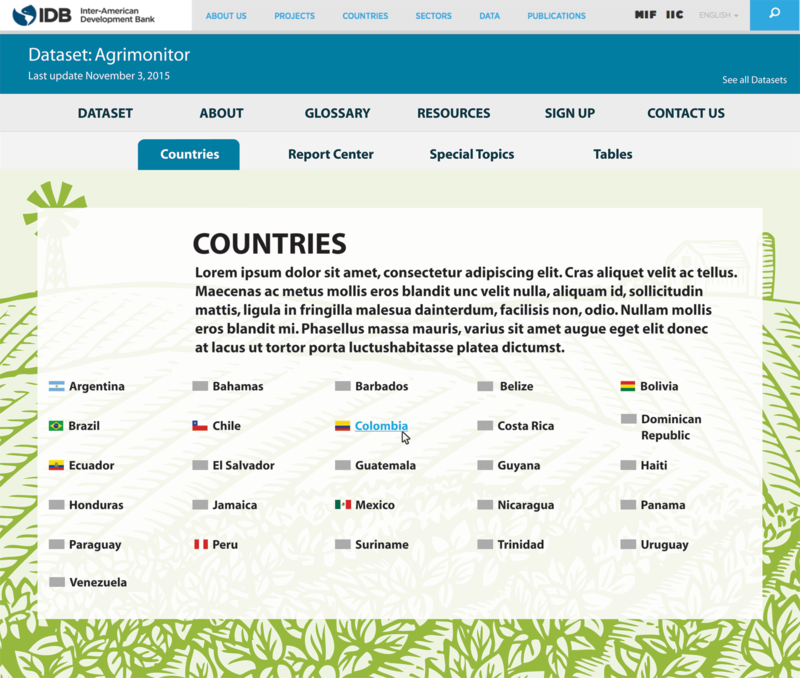 The site register data from different areas of the Agri-Industry in each country.